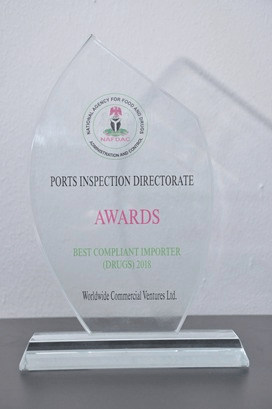 World Wide Commercial Ventures Ltd., recently received the 2018 Best Compliant Pharmaceutical Importer Award, by the National Agency for Food Administration and Control (NAFDAC). 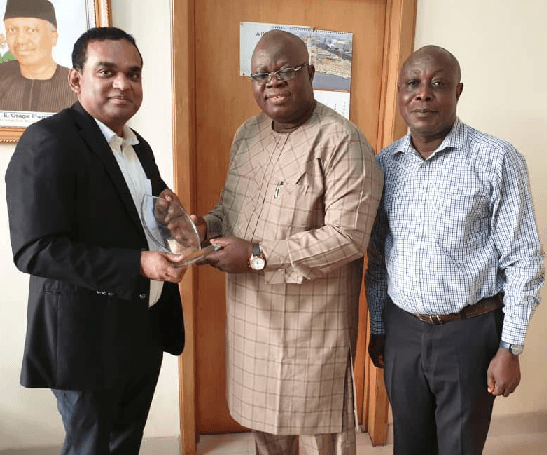 Managing Director, WWCVL, Mr Santosh Kumar, receiving the award from Prof. Samson Tunde Adebayo, ports inspection director, NAFDAC, and Pharm. 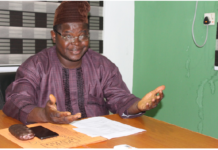 Lucky, superintendent pharmacist, WWCVL. Receiving the Award, the Managing Director, Mr Santosh Kumar expressed his profound gratitude to the agency, for the award, appreciating them for recognising their commitment to qualitative pharmaceutical business. He said: “Receiving this award from the regulators themselves is truly a fulfilling moment for all of us at WWCVL and a testimony of our commitment, for not just doing numbers but doing it the right way.